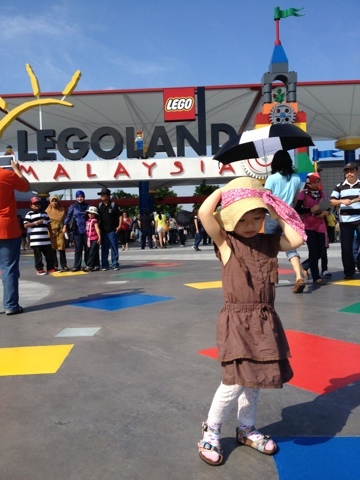 With a little girl who is about to turn 3 years old in November, I could not resist the thought of bringing her to see the newly opened Legoland and Hello Kitty Town. 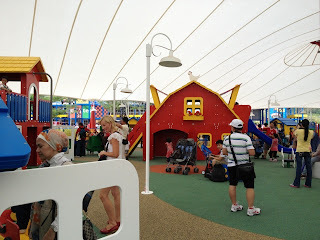 At the time of my research, Legoland is below 6 months old while one cannot find a lot of info on Hello Kitty Town yet. On Nov 16-18, 2012 we spent some time in Johor, something we have not yet done despite living here in Kuala Lumpur for almost 6 years now. 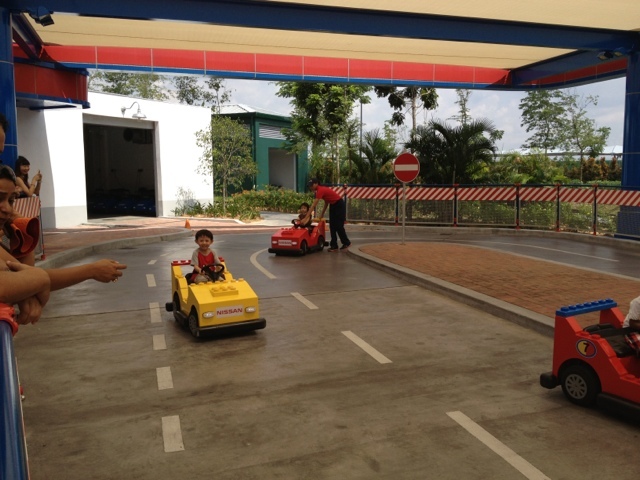 Nothing in Johor really prompted us to visit that place. And now, with the allure of both parks we made our way there. Driving was smooth and so easy. The road was straight almost all the way. Unlike Penang and Cameron Highlands, this trip was an easy drive. I switched with hubby every now and then to break the monotony since it was getting too "boring" as it was a straight drive almost all throughout. We needed a few breaks which was easily available. The drive with little daughter was pretty easy and it took us about 4 hours from Mont Kiara. We reached Johor about lunch time and headed straight to the Italian restaurant (which I read about on TripAdvisor). Will probably make my own comments on TripAdvisor when I get the time. The place was okay and I wouldn't say I would go over the top just to go back there. After lunch we checked in to a boutique hotel in town, which I will also comment on TripAdvisor. We didn't waste any time and went straight to Hello Kitty town about 2:00pm. It was a 30-minute drive from town. 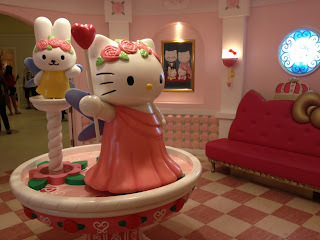 We stayed from 2:30pm to 5:00pm, which I would say was enough time to spend in Hello Kitty Town. 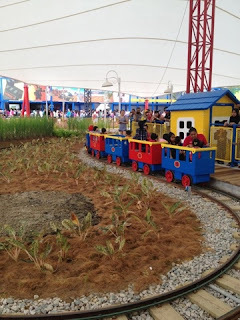 We didn't bother going to the other attraction which was right at the same building (which includes Bob the Builder and Barney, etc) since we didn't have enough time. You can buy combo tickets for both attractions or just buy for one park. For expats: don't forget to bring your Resident Pass card or whatever identification that shows you have a work permit or resident status in Malaysia as that allows you a discounted price for the entrance fees. - they had a tea cup ride which was perfect for my little girl. Cute. Not too wild. Just enough to entertain her and she got on it about 5 to 6 times! We went on a Friday so that meant less people than the weekend crowd. 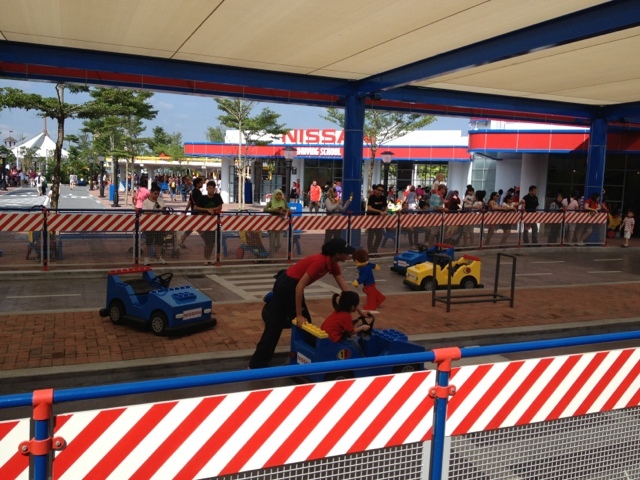 The staff mentioned that it was less busy than weekends. So I suggest that people go off-peak else it would have been hell to queue up for all the stuff there. - horrible toilet experience!!! We arrived and at the toilet they did not have tissue paper. One would think that if we pay RM50 for the entrance fee (per person), they would at least have decent toilets with paper??? Especially as we would be coming with little ones! 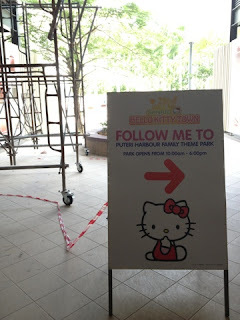 - at close to 5pm, the cafe at the ground floor, which was supposed to give you a hello kitty cafe experience was plain, well, ordinary and lacking of variety. I tried to order cupcakes but the staff there explained everything was almost finished because it was close to end of the day. Hmm... I would have thought they would make more cute stuff in Kitty designs to give you a superb experience. I was wrong. 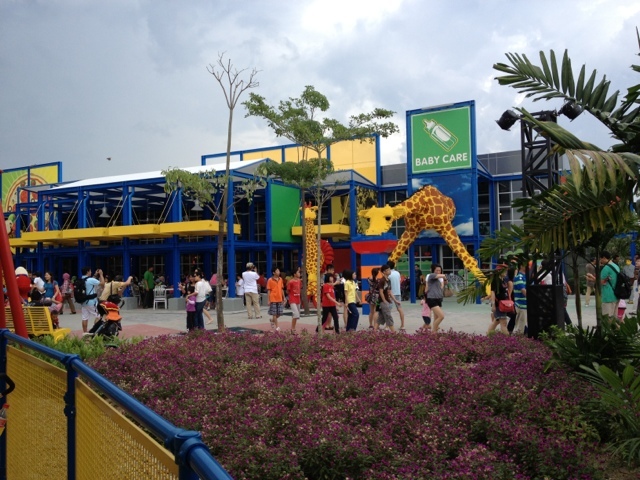 - The souvenir shop: they ran out of the Hello Kitty Castle which was at the play area and the kids all loved it. When I asked, they said they ran out. I wish they could at least analyze what are the fast-moving items and stock on it? Clearly it was super popular with the little girls and they had a model unit for playing at the store. - The photography: they had some photo shoot service and again maybe we were unfortunate. All the shots taken were so-so, and when we had one nice family shot, the girl didn't center it and instead took more of the sofa and the empty space on the side. We asked if it could be cropped and the answer was no. We didn't get to buy any photo... sigh. 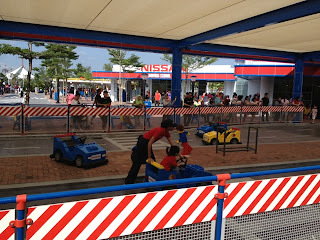 - My daughter enjoyed the maze part of the activity. There was a problem-solving part which you had to hold your own lantern and solve the riddle. She enjoyed the little activity (me and hubby too). That was worth doing and glad they did such a thing. - They have this street show which was short but nice. Hello Kitty and friends would come on stage and dance with little girls. That was fun. Overall, I can imagine if the place was packed, we would not have enjoyed as much. I have my share of complaints but my daughter did enjoy the trip. So it was worth going -- however don't fly to Johor or drive there just for Hello Kitty town only. I find that is impractical. 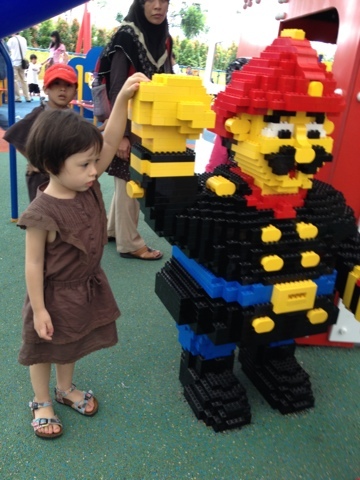 Make sure it will be a joint trip with Legoland. 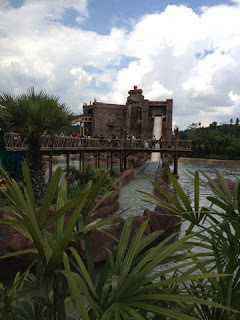 By the time we went there, we read many reviews and expected hot weather. Online, people complained about the lack of trees and shade -- which I can totally understand and comprehend now. It was extremely hot when we arrived at the opening time (10am). There were hundreds of people by the time we arrived. I would highly recommend that people go during opening time to maximize the day. And also because during this time, it often rains in the afternoon (in KL)... and the same happened to us on that day. It rained at 3pm and it was non-stop until 7pm. 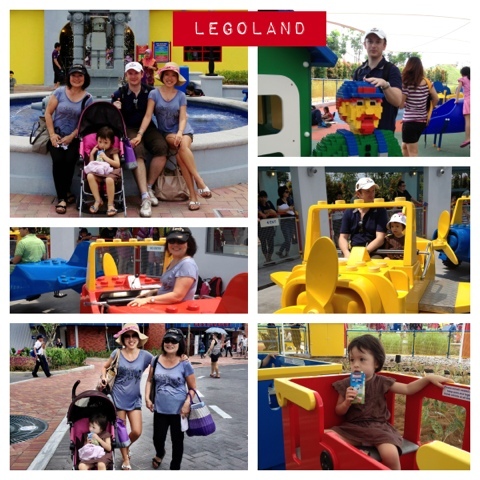 Basically we just enjoyed half a day at Legoland. I thought the place was well built. You can see the infrastructure was well thought of. The lack of trees and shade, well, I hope they can address that because you can really die of heat! It was extremely hot and you need to be prepared with sunblock, umbrellas, hats and water. Yes, you can bring your own food and drink (which is so different from the usual amusement parks). 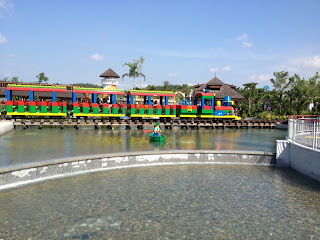 We enjoyed some of the rides with our toddler: like the Lego boat, the airplane and the choo-choo train around Legoland. 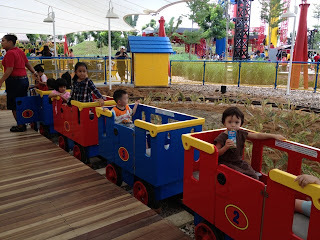 They even have a toddler mini choo choo train which was cute and perfect for my daughter to ride alone. 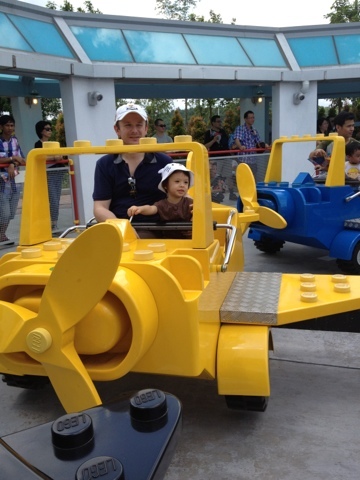 We did not have enough time to finish the whole Legoland. In fact, I would recommend 2 days for that if you have little children with you. 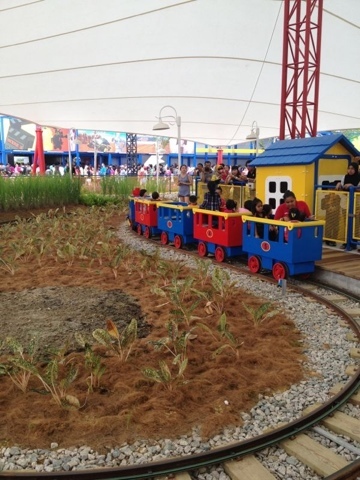 The queues were long for some of the rides... long, hot and tiring. Some of the staff were very friendly and helpful... while others -- you could see boredom in their faces and they didn't have the jolly look which I thought these people should be having since they are at an amusement park (and supposed to deliver happiness to guests?). Disneyland and Universal Studios were better at their "happy staff" execution. For the lunch, I would say the food is okay. I would not rave about it yet I cannot complain. It was okay and we spent about RM 90 for 3 adult lunch sets plus 1 child lunch set. It was chaotic though at the lunch area... the cashier counters and the condiments area were not well planned (again, my humble opinion) and there could be some improvement there. My little girl was about to turn 3 years old. So on the day of the visit she was not 3 years old yet, hence we did not have to pay for her entrance fee. It is a good concept and I am glad they opened in Malaysia. Just hope they will improve over time. 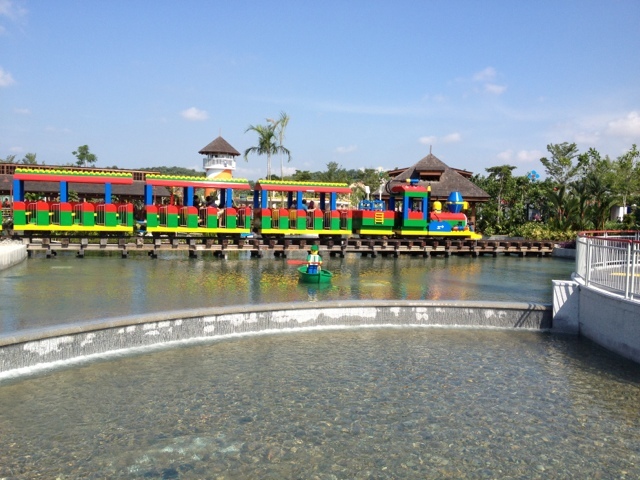 Maybe a year from now when they open the Legoland hotel it would be worth revisiting. Meantime, I find it was worth the money and time going there. Parents with little kids will enjoy the place as there were lots to do with toddlers. 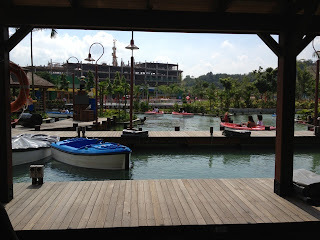 We stayed 2 nights in total at Johor. If I do come back, I would not book the boutique hotel (it was too cramped for my taste though the service and staff were extremely helpful and wonderful). Maybe I will book Thistle to ensure quality and space. Or hoping that the Legoland hotel will be open by then. My little girl had fond memories of the visits and still mentions it every now and then. Glad we did it. Not too pricey, not too far and perfect for little girls. Hmm... I wonder who is taller? Sunny day -- be prepared with sunscreen! 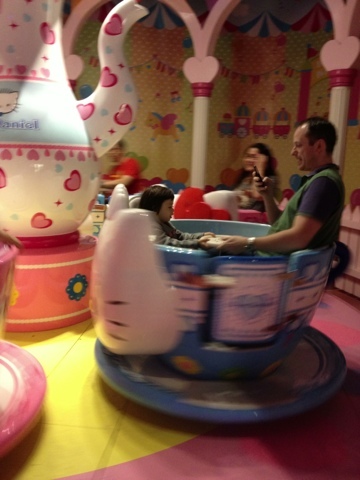 Daddy and daughter enjoyed this little teacup ride. Dizzy! The Hello Kitty Town not fully "cleaned up"... I hope they get their act together after months of operation. Hi - excellent information there thank you! Is Johor hotter than KL? Hi! If were coming from manila do u suggest we go to sg or kl? Thank u. Two different places and two difft cultures and experiences. Hard to answer for you bec it depends on expectations and budget. We are going to Legoland on 16 Feb and to Hello Kitty on 17 Feb. 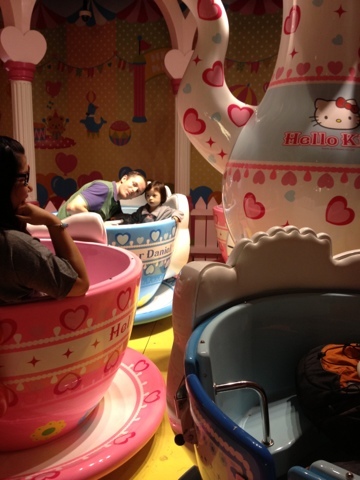 But I think we will take time of more than 3 hours in Hello Kitty because of long queue on every attraction. 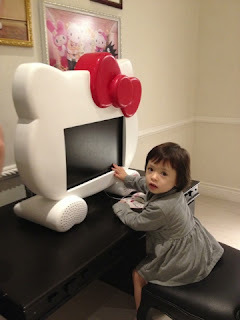 Thanks so much for your information..It's very helpful..
and I would like to get advice from you if its possible to go both Legoland and Hello Kitty Town within one day while I am bringing my girl 18 months old. We are going in two weeks time..
if you are coming from KL, i would say that you will be tired if you try a one day trip though it is possible to do. Since Hello Kitty land will probably max take you half a day or slightly more... the driving will be tiring though since it is about 3-4 hours going and then another round coming back. POssible... but tiring for parents and i am sure your daughter will sleep all the way back home. Good luck! Just dropped by to say thank you for the information that you provided in this blog. It has helped us to plan for the Hello Kitty trip last week and we had a great time. Just like you mentioned, don't put your expectations too high and the trip should be fine. Not complaining that its all indoors considering the hot humid weather in Malaysia...its just not suitable for outdoor rides. hi Michael, Glad I was able to help in some way. 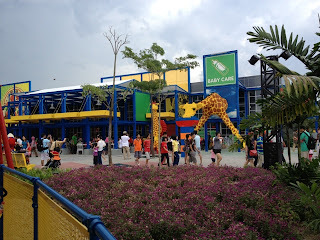 I hope they improved the facilities already by now, since it has been operating for a while. Anyway, as long as your daughter had fun and fond memories of the trip, that is what's important. My daughter still remembers our trip to that place .. so it was well worth it! You Are A Brand - Value Yourself!